Keep this guide handy in case you find yourself having to kickstart your old gas furnace, water heater, oven, or stove. You woke up shivering in a cold house. Your morning shower, instead of a warm and pleasant wakeup call, was spent futilely turning the knob towards “Hot” as your skin erupted in goosebumps. When you tried to scramble up some eggs for breakfast, the burner clicked but would not light. While all of these annoyances might cast a damper on your morning, there’s no need to call a repair person just yet. If your home’s gas-powered appliances are older than a decade or so, the problem might be as simple as a pilot light that’s gone out—and that’s something any homeowner can handle on their own. The pilot light is a small gas light meant to burn continuously in order to light a larger burner when needed, but it may go out if a draft extinguishes the light, its valve is dirty, or the thermocouple (the safety device that shuts off gas to the appliance when it detects no pilot light) is faulty. Most of today’s gas appliances have electric starters, rather than pilot lights. But if your older appliances still sport flames, it’s helpful to know how to light the pilot light should they ever get snuffed. Keep reading for the steps to follow in relighting pilot lights in a gas furnace, water heater, oven, or stove. One caveat, however: If you detect the strong smell of natural gas, do not attempt to light the pilot. Instead, leave the house and call your local gas company or 911. Forget about suffering through a freezing shower! If your water heater’s pilot light is out, check for relighting instructions fastened to the appliance. If your water heater doesn’t have directions, this basic method works for most models. STEP 1: Remove the access panel. Most water heaters have a small access panel covering the pilot light. Depending on your model, it might simply snap on and off, or you might need to use a screwdriver to remove the panel. You’ll find a small gas regulator valve near the bottom of the water heater. Turn the valve to the “Off” position, and then wait for five minutes to allow any residual gas to clear from the pipe. STEP 3: Turn the temperature down. Near the gas regulator valve, you’ll find the temperature control valve. Turn it to the very lowest setting. On some water heaters, the lowest setting is labeled for pilot lighting. STEP 4: Assess the type of pilot ignition. Some older water heaters require you to apply a flame to light the pilot. In that case, you’ll want a butane barbecue lighter or fireplace match that’s long enough to reach the pilot without exposing your hand to the flame. If your water heater is a little newer, look for a red button or switch near the regulator valve. The red button will be labeled “Pilot ignition” or something similar. If your water heater has an ignitor, you will not need to apply a separate flame. STEP 5: Turn the gas regulator valve to the pilot position. STEP 6: Light the pilot light. If your water heater is old-style, push down on the regulator valve, and then apply your match or lighter to the tip of the pilot’s valve. Do not release the regulator valve for a minute or so after you see the pilot light ignite. This gives the thermocouple time to kick in and sense that the pilot light is on. If your water heater has an ignitor, press down simultaneously on the pilot valve and the red ignitor button. Continue to apply pressure until you see the pilot light ignite, and then for another minute or so to make sure it remains lit. 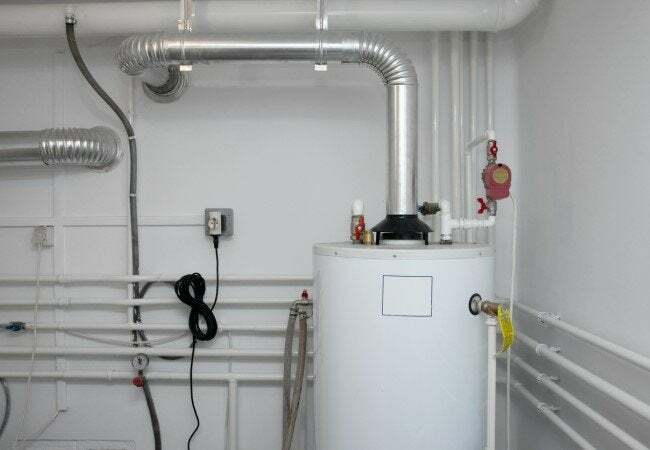 STEP 7: Turn your water heater back on. Switch the gas regulator valve back to the “On” position, and reset the temperature valve to your desired setting. For safety, your water heater should never be set above 120 degrees Fahrenheit. STEP 8: Replace the access panel. Screw or snap the access panel back into place over the pilot light. There’s no reason to abandon a burner just because its pilot blew out. Check out your appliance manufacturer’s manual, which you may find online if not saved in your records. It should detail a process similar to what is laid out here. STEP 1: Switch everything off. Make sure that all burners are set to “Off,” and the oven is not on. STEP 2: Remove the burners. If you’d like, take the opportunity to give them a thorough scrubbing before setting them aside. STEP 3: Expose the pilot light valves. Some stovetops lift up to expose the inner workings, while others require you to lift out the drip pans. 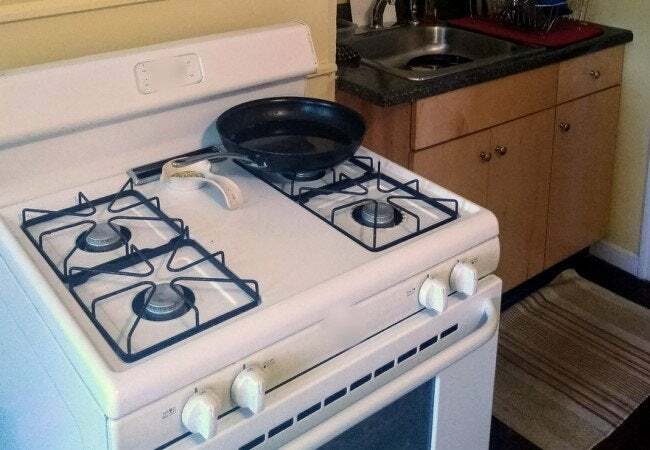 Either way, when the stovetop is open, you should see a small pipe connecting the two burners on the left, and another small pipe connecting the burners on the right. There is a pilot port in the center of each of these small pipes. STEP 4: Clean it up. Use a cloth or paper towel to wipe away any grease or grunge on the pilot light valve and the gas pipes. STEP 5: Light the pilot light. Using a long fireplace match or butane barbecue lighter, touch flame to the pilot light ports. The flame should light almost immediately. STEP 6: Close up the stovetop. Lower the stovetop lid or put the drip pans back into place. Return the burners to their normal positions. If your casserole won’t cook because your oven isn’t getting hot, it’s time to check the pilot light. STEP 1: Ensure the entire appliance is off. Check that all burners are set to “Off,” and the oven is not running. STEP 2: Look for the oven’s pilot light. 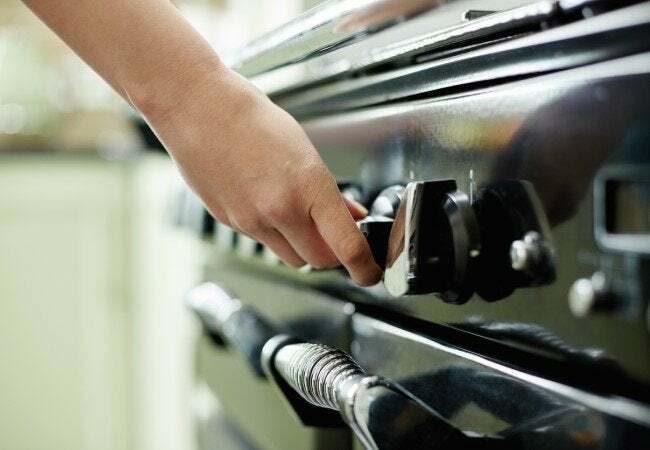 Unlike the stovetop, it can be tricky to find the oven’s pilot light, and you might need to get a little bit acrobatic in order to spot—and eventually reach—it. Depending on your brand and model of oven, the pilot light might be in a front corner of the oven, in a back corner of the oven, in the center near the door, or even inside the broiler towards the very back. You’ll see a small hole with a tiny valve inside it, often labeled “Pilot Light.” Consult your manufacturer if you don’t readily see it. 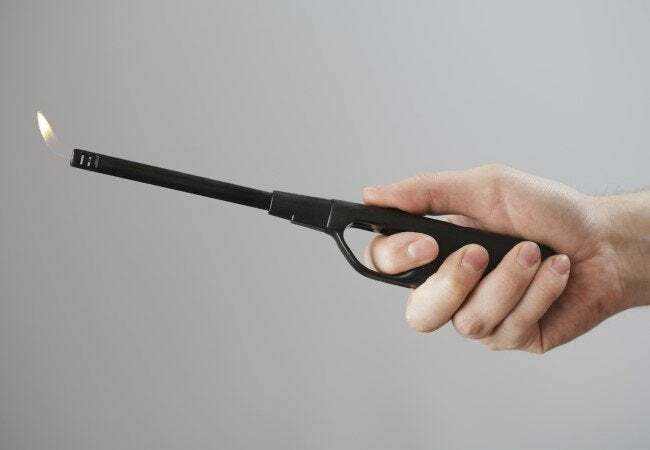 Light your long match or barbecue lighter and hold it near the pilot light valve. The flame should catch almost immediately. There’s no need to put on a sweater or shiver in chilly misery. It’s not difficult to relight your gas furnace’s pilot light. As with these other appliances, it’s best to check with the manual first, but you can expect the process to be about as simple as it appears here. STEP 1: Turn off the furnace’s gas valve. 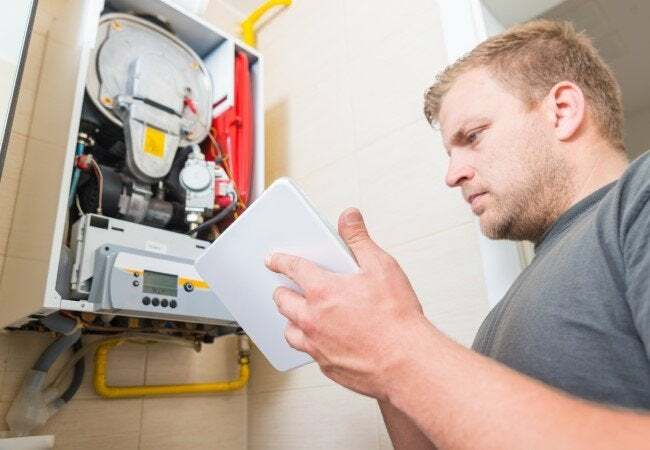 On most furnaces, you’ll spot a small valve near the bottom of the unit with three positions: “On,” “Off,” and “Pilot.” Turn the valve to the “Off” position, and wait five minutes to allow any residual gas to clear from the pipes. STEP 2: Light the pilot light. Turn the valve to “Pilot.” Near the valve, you’ll see a small button labeled “Reset.” Press this button while applying your lit match or butane fireplace lighter to the pilot light valve. Hold the flame steady until the pilot ignites, then release the button. STEP 3: Turn your furnace back on. Switch the valve back to the “On” position. In any of the above scenarios, if your pilot light continues to go out, it may have a faulty thermocouple. While some homeowners are comfortable tackling the job (and the task could cost as little as a $20 replacement part), most prefer to call in a professional to replace this part.